Serro hubcaps were optional. They appear quite frequently on Ebay but arenow very expensive. A picture of original Serro hubcaps appears below. Hubcap Mike sells really nice baby and full moon caps. 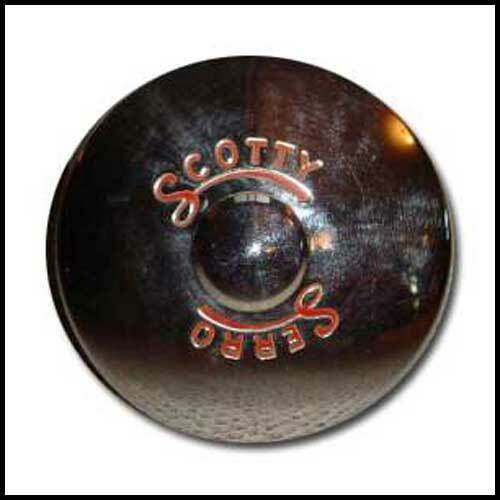 10 1/4" fit a Scotty with original wheels. Scott of the Decal store is now producing decals that match exactly the lettering on an original Scotty hubcap (I [Nancy] know - I sent him a hubcap). Find them here.